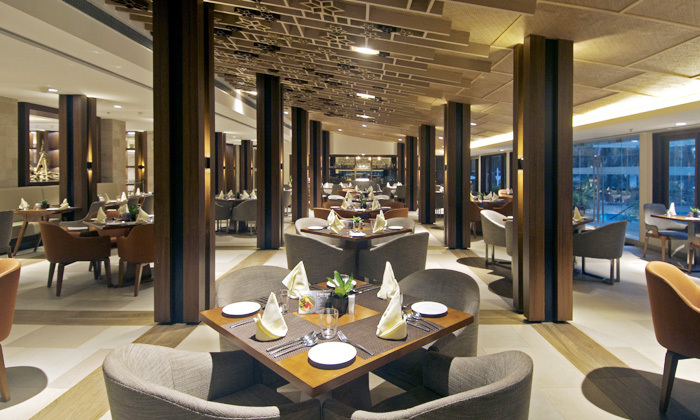 The in-house restaurant at The Resort, High Tide has a panoramic view of the Arabian Sea providing an airy and tranquil ambiance. They offer all kinds of food including authentic Gujarati cuisine as their specialty. With interiors finished with bamboo and cane finish and lots of natural light, the restaurant is all about the laid back vibe. 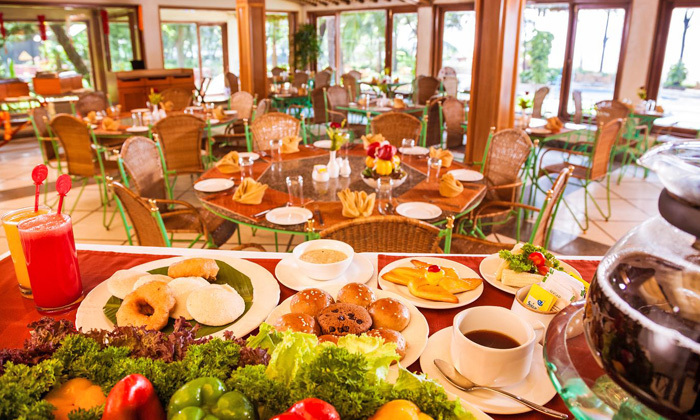 The poolside location, multiple brunch and buffet options and an array of drinks to wash down your hearty meal makes your meal here all the more exciting. Add the impeccable service and the lively ambiance and this is the fun day out you have been craving!